You love to ride, but sometimes your motorcycle sits around while life takes over. Why pay for that?  SureRIDE personalizes your insurance policy based on the miles you ride. Don’t ride in January while the snow is flying? Pay less. Park the bike in July when it's blistering hot out? Save your money. SureRIDE is usage-based insurance reimagined just for those who ride. Get your custom quote and download the free REVER app to start tracking your miles. Mount a free REVER GO! beacon on your bike and REVER will track your miles automatically. Check your usage and only pay for the miles you ride — not when your bike is parked. Stick the GO! beacon anywhere on your bike. Leave your phone in your pocket. REVER GO! will automatically start and stop all your rides in Rever! What is the SureRide pilot? SureRIDE is a pilot program available to eligible participants in Arizona that pairs technology from REVER with insurance from American Modern ®. It is designed as a mileage-based insurance product (for coverages other than Comprehensive coverage) that uses a device to track mileage. How do you record miles? All you need to record miles on your motorcycle rides is a REVER GO! Beacon and a compatible smartphone with the REVER app. Ride tracking and mileage reporting are facilitated through REVER. Just download the FREE iOS or Android app and create an account. The app is designed to automatically start and start your rides once your GO! Beacon is on your bike.  You can also manually record all of your rides there through your smartphone. You may also be eligible to receive a free GO! What's this REVER GO! beacon? It's a small, quarter-sized device that you can easily mount to the outside your bike. It contains an internal battery, and it's designed to pair directly to your REVER app on your Bluetooth-enabled smartphone to automatically start and stop rides in the REVER app as long as the GO! Beacon is mounted within three feet of your smartphone. Do I have to have a GO! beacon to get this insurance? Yes, you do, but it's available for free in this pilot! Sounds complicated, I don't want anything plugged into my bike. Don't worry, it's not hard. The GO! Beacon doesn't actually plug into your bike. It is designed to be placed anywhere on your bike that is within three feet of your smartphone during rides. The GO! Beacon is a small, quarter-sized Bluetooth device that recognizes when you're moving on your bike when paired with your smartphone. It begins the ride recording process in REVER for you. How can I learn more about REVER and GO! What other data are you collecting about my rides to determine my rates? Just miles. This isn't like other auto policies that you may use or have heard of. SureRide DOES NOT collect behavior data like speed, braking, etc. Since a SureRide motorcycle insurance policy is based on your actual motorcycle mileage, we just need the miles. Are you measuring "HOW" I ride? No, we just want to know how much you ride. Do I need to have my motorcycle insured with American Modern? Yes. The SureRIDE program is only being made available for American Modern motorcycle policyholders in Arizona. You will fill out an insurance quote request as part of the SureRide registration process. How does the billing for this work? Premiums for SureRIDE look different than typical insurance premiums. It's made up of two components: a flat-rate premium, for your Comprehensive coverage, plus a per mile premium for all of the other coverages. The Comprehensive coverage premium will be your base payment amount each month, regardless of mileage. We'll charge for this up front. So, if you start your policy on the 1st of June, you'll pay premium for June's Comprehensive coverage on June 1st. The per mile charge will be calculated based off of how many miles you ride in June. Since we don't know this up front, you will see June�s mileage-based premium in July, which would be the following month's invoice, in addition to the July Comprehensive coverage premium. If you ride zero miles in June, you'll only be charged for your fixed rate Comprehensive coverage in July. So how many payments are there total? In a six-month term, there will be seven payments. • Month 7: If you don't renew your policy, you will have paid for all the comprehensive premium after month six. All that’s left to pay is your mileage for month six. What if I go for a really long ride? Am I going to get a huge bill? The name of the game here is to give you control over how much you spend on insurance. Riding more will end up costing you more. That being said, we know you love to ride your bike. Because of this, we put in a daily mileage cap of 250 miles. If you ride more than that in a 24-hour period, we won't charge you for more than 250 miles. How will I know how much I owe you? Rever will keep you in the loop with regular updates about how many miles you've ridden. We will notify you prior to charging your credit card, too. Make sure you have ReverFTR@AMIG.com saved in your list of "safe senders" and look out for updates! What if you get the mileage wrong? What if my bike gets stolen? First off, bummer. Second, let us know immediately. Upon receipt of a police report, you WILL NOT be charged for any miles when it is not in your possession. What if has to be taken into the shop? If you advise us ahead of time that bike is undergoing repairs, we will not charge for any mileage. To make sure this happens, you will need to provide notice before the bike goes into the shop. We will need a record of the receipt after the bike is repaired. We also reserve the right to contact the shop to confirm dates in which the bike was not in your possession. What if I turn off my app, Bluetooth connectivity, or don't bring my smartphone with me? We reserve the right to ask for photos of your odometer. You can provide them, or we can work with a third party to inspect your bike. We may also charge you the maximum daily rate per day that we have discovered intentional device tampering. Why is comprehensive coverage not a per mile coverage? Comprehensive coverage is for things that happen to your bike that don't necessarily always happen when you're riding it. For example, if your bike is parked outside and a branch falls on it, comprehensive coverage could help pay to repair it. So, even when you're not using your bike during the policy period, this coverage is always "on." Since it's always working, even when the bike is not being used, it doesn't make as much sense for this to be charged per mile. How can I find out more about the SureRide pilot? Who is American Family Home Insurance Company? So you're probably also wondering about Atlas Insurance Agency, Inc.
All these names can make insurance seem a little bit complicated sometimes! sureRide insurance is not avalable directly from American Family Home Insuance Company. Instead, it can only be obtained through the Atlas Insurance Agency, Inc., which is the license insurance agency in Arizona that sells the sureRide policy. Atlas insurance agents are available to talk to you about sureRide coverage and options. An Atlas insurance agent can obtain a sureRide quote for you or change an existing policy. They're your best bet for help with coverage questions and advice. You can reach them at 1-888-819-8700. How can I ask to participate in the SureRide pilot? Pilot is subject to eligibility, verification, and program terms. Pilot is only available to individuals who are residents of Arizona and over 18 years old using a Rever GO! Device paired to a compatible, Bluetooth-enabled smartphone (with the Rever app) on their motorcycle insured by an American Modern® mileage-based policy for this Pilot. Enrollment in electronic delivery is required. One participant per household. Participation and supplies are first-come, first-served. Supplies are limited. Only the first 100 eligible respondents will be able to participate and receive a Rever GO!, the Pilot device. Installation is the responsibility of the participant. American Modern reserves the right to discontinue the pilot at any time, for any reason, and without notice. Insurance coverage is subject to policy terms, conditions, limitations, exclusions, underwriting review and approval, and may not be available for all risks or in all states. Rates and discounts vary, are determined by many factors and are subject to change. Policies are written by one of the licensed insurers of American Modern Insurance Group, Inc., including American Modern Home Insurance Company d/b/a in CA American Modern Insurance Company (Lic. No 2222-8). © 2018 American Modern Insurance Group, Inc. All rights reserved.